A public interest lawyer who represented low-income clients in the Bronx, Harlem and London, then chose to become a stay-at-home mom to her two daughters. She has begun to share her passion for social justice with her older daughter, Abigail, now 3, and together they volunteered with IHN for the first time in December. A retired Wall Street executive with 40 years at Merrill Lynch and Goldman Sachs, Joan has since 2008 been an active investor in startups significantly owned by women through Golden Seeds, an angel investment group. She is currently managing partner of a $26 million Golden Seeds fund. A licensed psychotherapist with 15 years in mental health fields who founded a New York City nonprofit to assist homeless, pregnant women and low-income families. A mother of two young sons, Ryder and Maxson, she is now creating and selling textile and fiber art. A retired business executive who now pursues his twin passions for boating (and historic fireboats) and keeping Montclair economically and racially diverse. David is president of HomeCORP, which provides affordable housing to low-income families in Montclair. 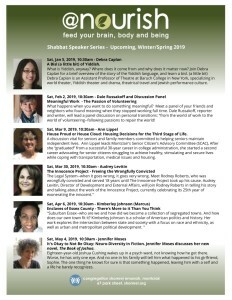 @nourish (“at nourish”) Shomrei’s occasional Shabbat seminar/discussion/activity series for adults presented by Shomrei JLC (Jewish Learning Center). 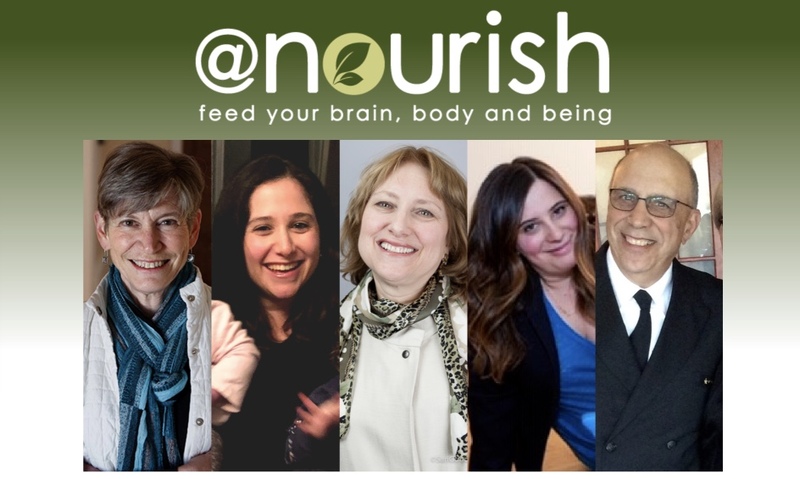 Occuring on selected Saturdays, @nourish will bring varied and interesting speakers or activity leaders to Shomrei to engage our brains, bodies and being. @nourish is free and open to the public. Good coffee and nosh are always in attendance! If you don’t make it to @nourish, or attend services instead you can watch each speaker’s complete presentation in our video archive. The videos are posted by the following Thursday. 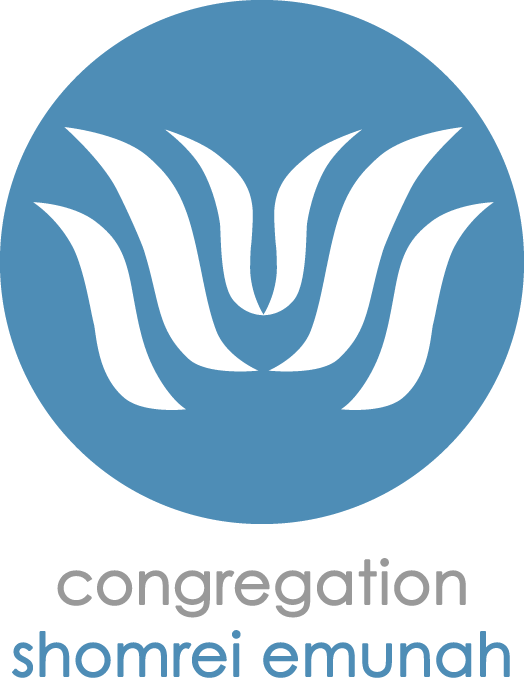 The video archive can be found by clicking here.